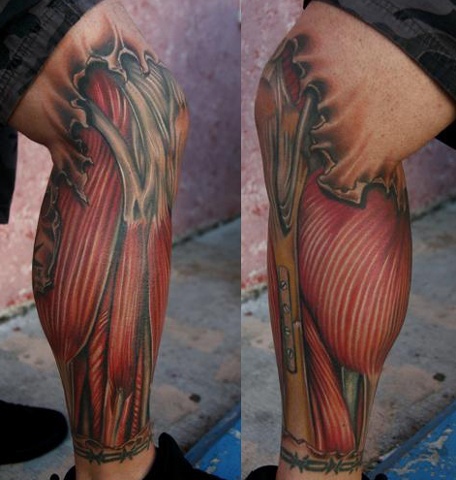 ARIC TAYLOR - Tattoo of exposed muscle and bones on leg . We tried to keep it anatomically correct as possible. Tattoo of exposed muscle and bones on leg . We tried to keep it anatomically correct as possible.